Gronkowski bounces back with huge World Cup run. 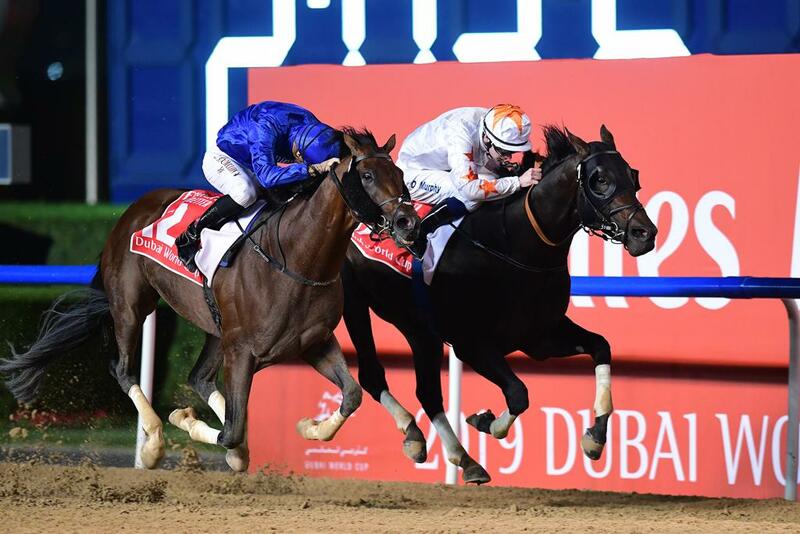 He might be one of the most travelled horses currently in training, but globe-trotting Gronkowski showed his real ability with a superb second-placed finish in the Dubai World Cup on Saturday night. The Salem bin Ghadyer trained runner was partnered in the World’s Richest race for the first time by Oisin Murphy, and the rider drew plaudits from connections after guiding the colt to a battling runners-up spot behind dual World Cup winner Thunder Snow. Breaking smartly from the gates Murphy moved his mount into the first three and tracked the early pace set by North America. It was noticable that Gronkowski was travelling powerfully under the Irish rider and he smoothly moved alongside the pacesetter as the field began the swing for home. Hitting the front at the top of the stretch the pair were joined by the eventual winner, with the two horses, and the crowd, enjoying an epic battle all the way to the line with the Godolphin runner getting the upper hand at the death despite the Phoenix Thoroughbred’s owned runner battling back after being headed. A son of Lonhro the colt had been a little disappointing in a few runs since his excellent second to triple-crown winner Justify while his prep run in Dubai left some observers underwhelmed. Ludt confessed to having doubts ahead of Saturday night’s assignment but was quick to praise the job done by his new trainer. The result triggered jubilant celebrations from the Phoenix team present at Meydan including CEO Amer Abdulaziz who had always kept faith with his fund’s most famous runner.